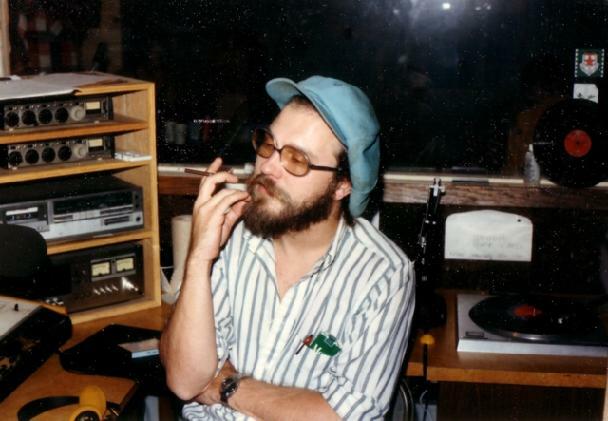 An extrememly important part of R. Stevie Moore's past was the freeform radio station WFMU 91.1 in East Orange NJ. It was quite probably the first to ever air his debut EP, "Four From Phonography," late 1977, before he even moved north from Tennessee. 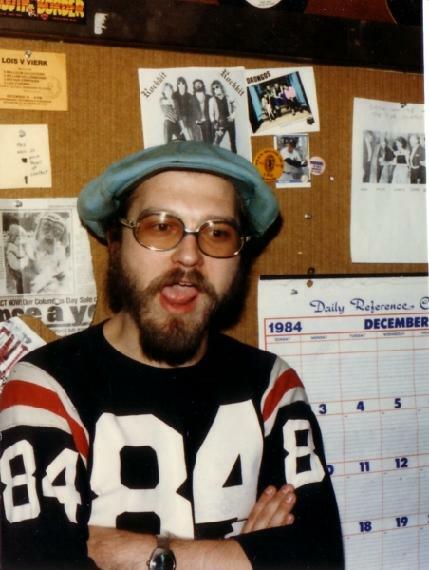 Shortly upon settling in Montclair in March 1978, and working at Sam Goody's in Livingston Mall, he befriended a coworker named Max Wermuth, who knew Irwin Chusid and Jim Price, DJs at the station. Summer 1978 RSM met them at their house on Ridgewood Road in South Orange, and soon afterwards visited WFMU for the very first time. They became extremely tight new friends. 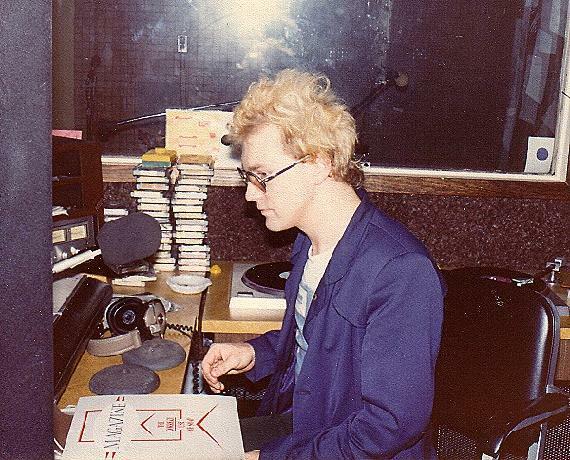 1979 was RSM's first live-on-air performance there (available on audio). 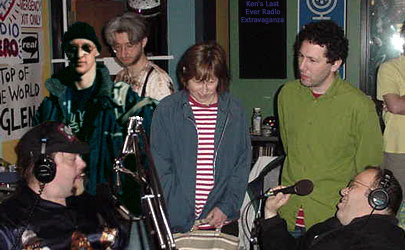 He was also increasingly visiting IC's and/or JP's shows, helping with program content, dialog and general tomfoolery. 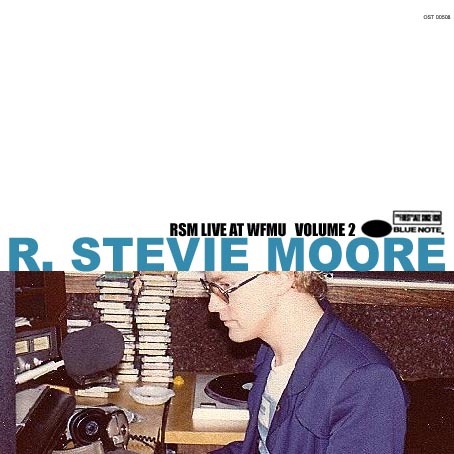 For a time, Price consented to weekly air a pretaped hour of Stevie's own programming ("Bedroom Radio") made at home. 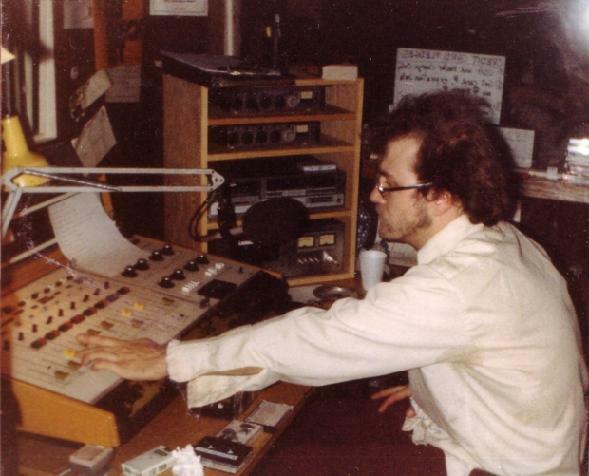 Station manager Bruce Longstreet eventually offered RSM his own slot. Moore was a regular staff member from 1981-1986. 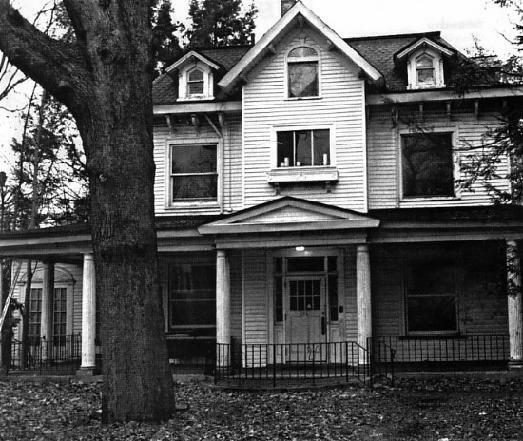 Many recordings were made in that basement studio of Froeberg Hall on the Upsala College campus. Also, this was the main place where RSM met most of his NJ friends, including future mate Krist Olsiewiczens. 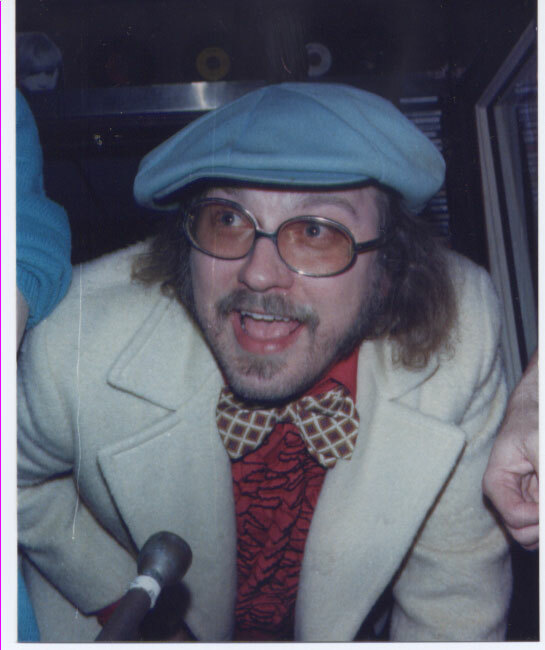 A combination of burnout and abandoned auto-driving led to RSM giving up his radio career, although in later years he still would occasionally cohost a show with pals. 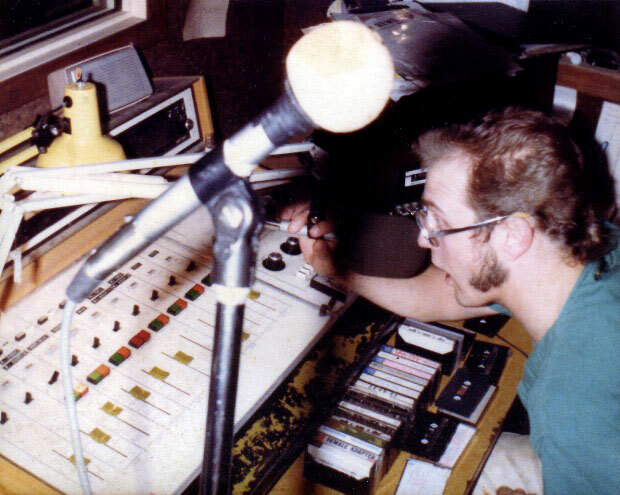 Live musical performances and recording sessions also continued, as WFMU moved into new digs around the corner from the campus at the Avatar house on 580 Springdale Avenue in September 1989. 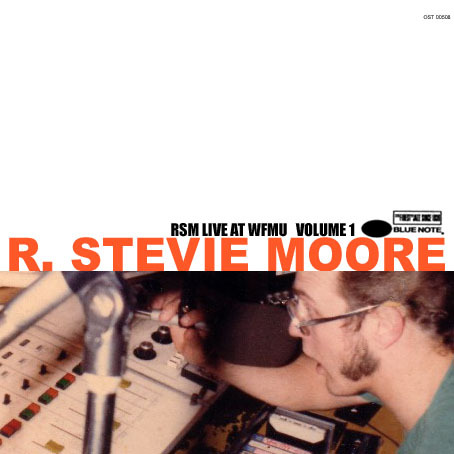 Here, countless 1990's R. Stevie Moore classics were recorded and/or aired live, including legendary ensembles with Bingo Gazingo, Dennis Diken, Chris Butler, Chris Bolger, Frank Balesteri, Dave Amels, Thom McFarlane and others. 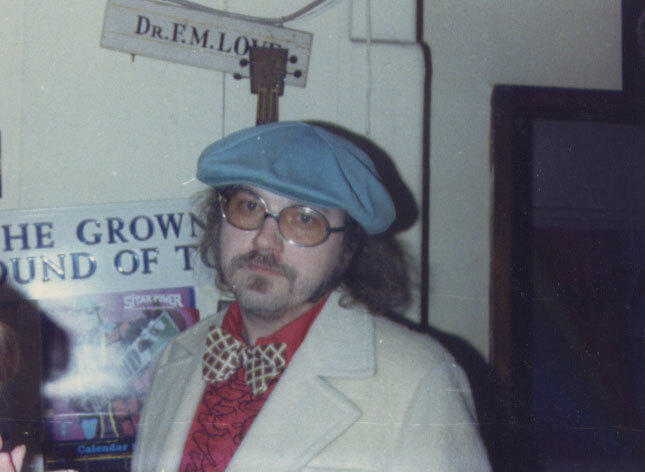 A handful of essential solo performances exist, including one of the very last live Stork Club programs, before WFMU moved once again... to its current Jersey City location. 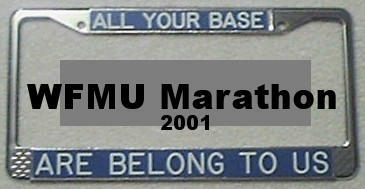 It is rarely acknowledged these days, but RSM had a major influence on FMU's programming back then. 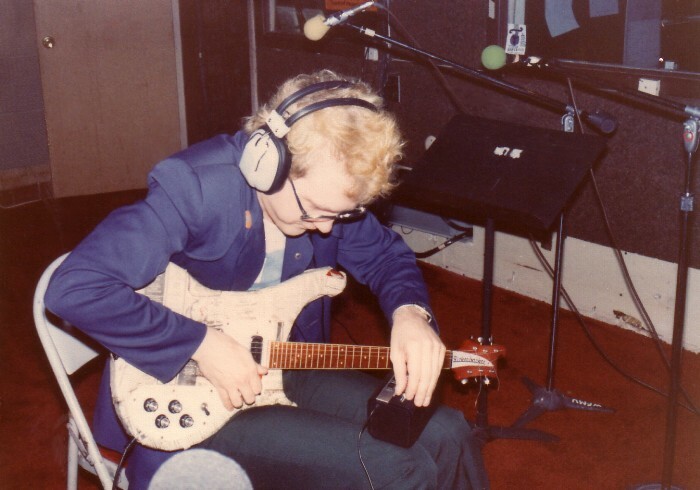 Nearly single-handedly, he helped usher in the critical punk and postpunk explosion there, debuting landmark new records practically before anyone else in the entire New York area! And his wild-abandon juxtapostion of incongruities free-form programming style matched the FMU philosophy perfectly. Moore's slots usually contained more back-to-back musical diversity than any other DJ.